This beautiful brownstone in Brooklyn has been refurbished into the first Passive Plus House in the United States. 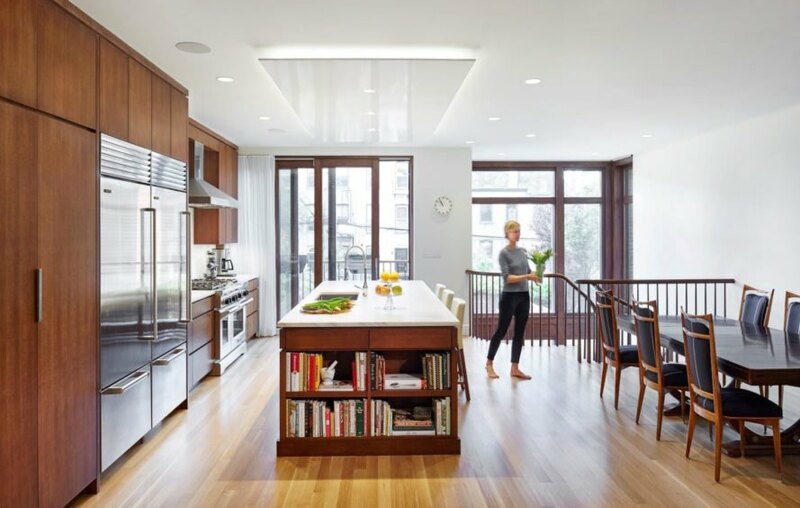 Located in Carroll Gardens, 78 Third Place features an impressive array of cutting-edge renewable technologies wrapped in a thoughtful renovation that preserves the original home’s historic character. The house, remodeled by Baxt Ingui Architects, saves 80 to 90 percent of the energy needed to heat and cool the building and nearly reaches net-zero energy consumption. The architects collaborated with a team of six contractors, three engineers, Passive House consultants and eco-conscious clients to make the upgrades. 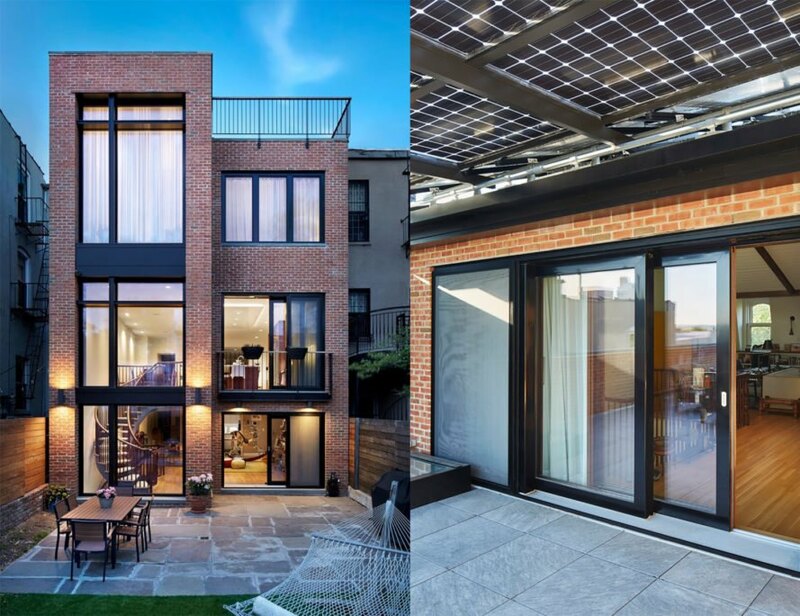 Baxt Ingui Architects installed low E and argon-filled triple-glazed windows, cellulose insulation and a 387-square-foot Brooklyn Solarworks solar canopy to help offset the home’s energy needs. The well-sealed townhouse is also equipped with a very quiet Energy Recovery Ventilation system, an air-to-air heat pump and an improved gas-condensing boiler. This beautiful brownstone in Brooklyn has been refurbished into the first Passive Plus House in the United States. 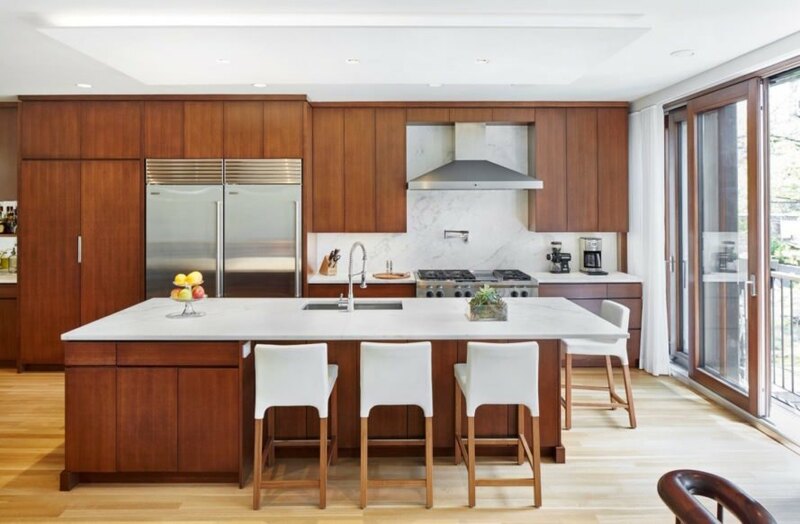 Located in Carroll Gardens, 78 Third Place features an impressive array of cutting-edge renewable technologies wrapped in a thoughtful renovation that preserves the original home’s historic character. The house, remodeled by Baxt Ingui Architects, saves 80 to 90 percent of the energy needed to heat and cool the building and nearly reaches net-zero energy consumption. The Brooklyn townhouse was originally built in the early 1900s. Baxt Ingui Architects expanded the building to include a new third floor with a mansard and a modern rear addition that nearly doubles the brownstone’s original footprint. The architects collaborated with a team of six contractors, three engineers, Passive House consultants and eco-conscious clients to make the upgrades. 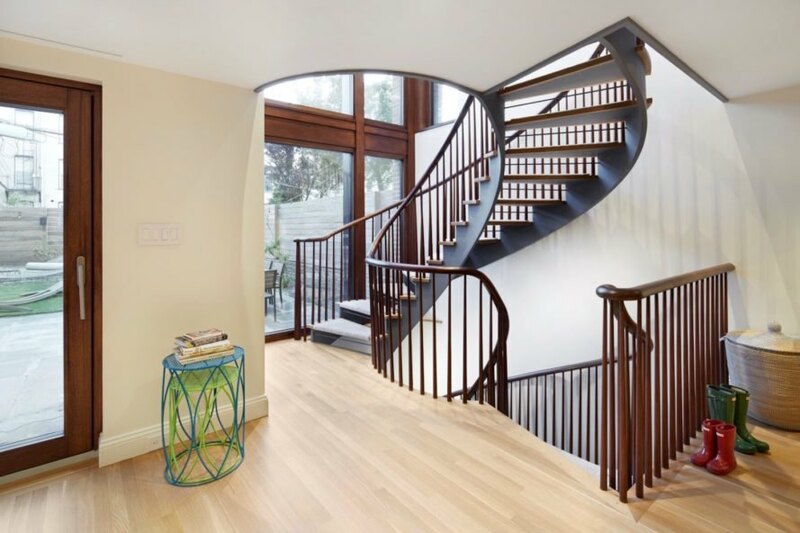 The home features this beautiful spiral staircase. The architects made sure to preserve the home's historic charm. 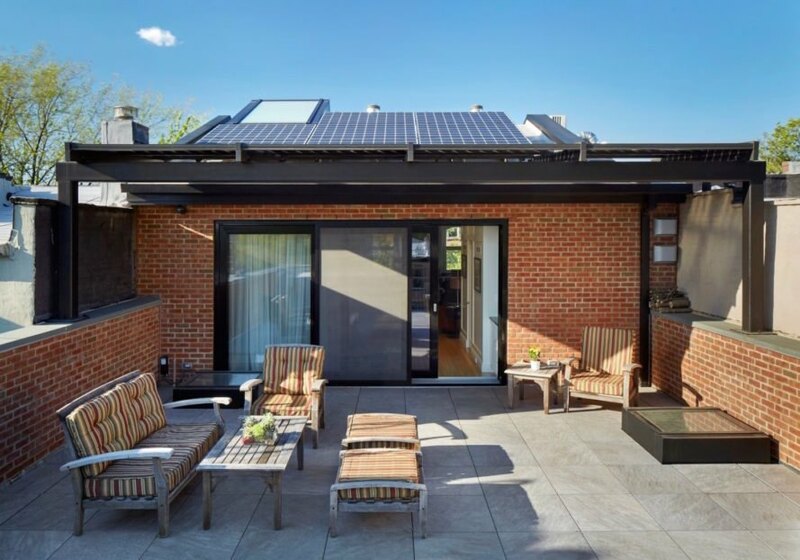 Baxt Ingui Architects installed low E and argon-filled triple-glazed windows, cellulose insulation and a 387-square-foot Brooklyn Solarworks solar canopy that helps offset the home’s energy needs. The well-sealed home is also equipped with a very quiet Energy Recovery Ventilation system, an air-to-air heat pump and an improved gas-condensing boiler.